Demolition of existing multi-storey car park. 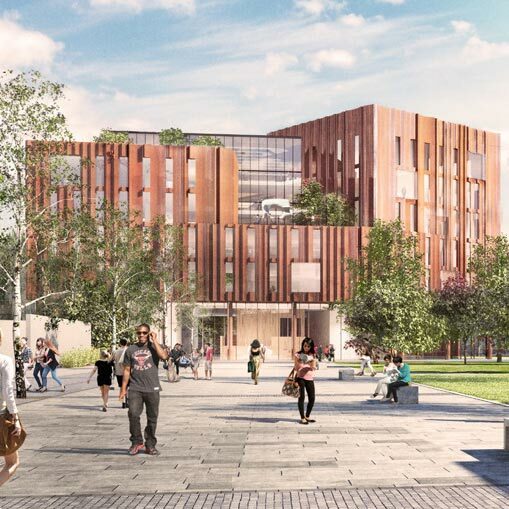 Redevelopment for new Faculty of Arts building providing up to 15,0000m2 (GEA) floorspace for research, teaching, office and social space purposes. Development to be 8 storeys (plus rooftop plant) in height and to include enhancements to adjacent public realm, new cycle and accessible parking bays. The Faculty of Arts at Warwick is one of the top 50 Arts and Humanities faculties in the world. The Faculty is made up of seven Departments and is currently split between the existing Humanities Building and Millburn House. 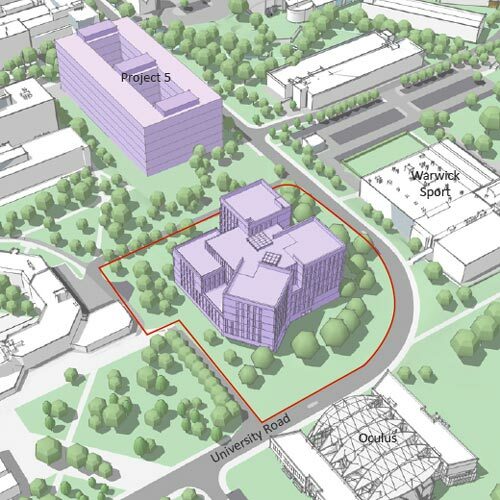 The new building will bring the Faculty together under a single roof. 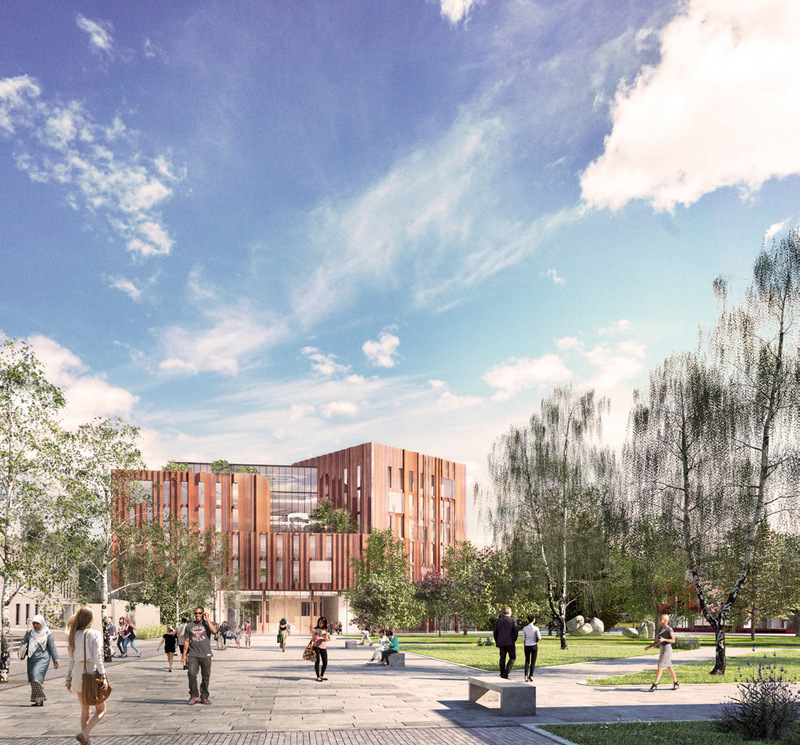 The building will house departmental offices and a variety of spaces for teaching and learning. 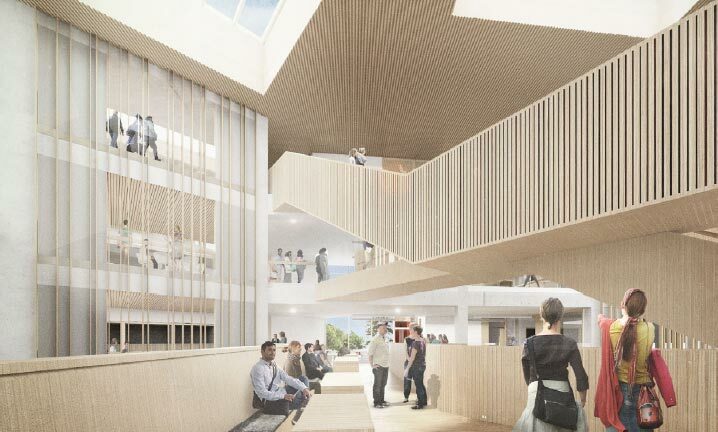 Larger more public spaces are located on the lower levels; these include a large open plan multi-purpose engagement space, a café, two lecture theatres, and a variety of spaces for social learning. - Professor Simon Gilson, Chair of the Faculty of Arts at project inception. 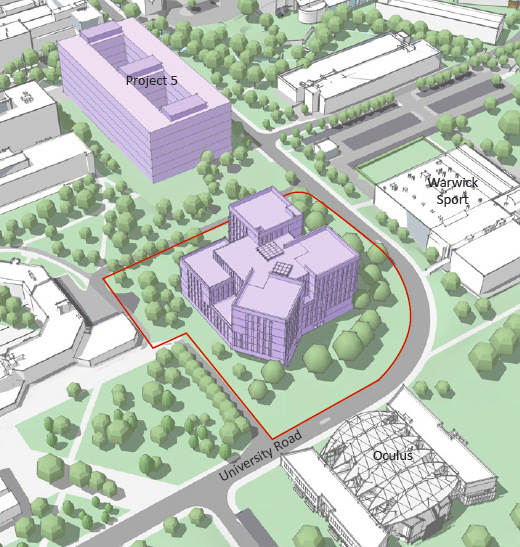 The design team sought to keep the footprint of the development as close to that of the existing car park as possible so as to maintain the maximum number of quality trees. 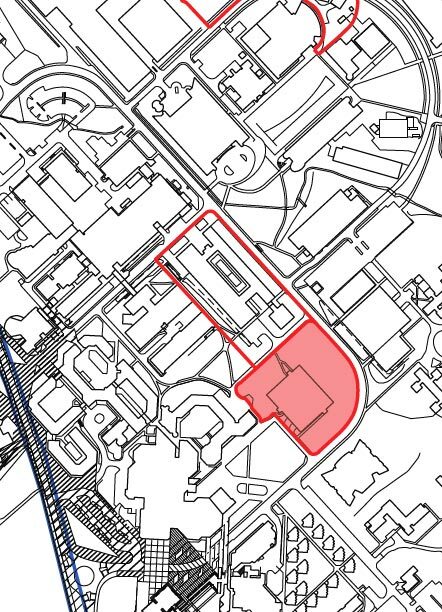 Maintaining as close a footprint to the existing carpark led to a building across eight storeys. 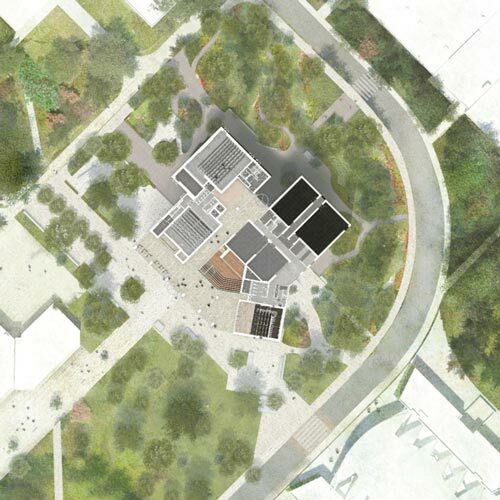 The form of the building is intended to be analogous with the Faculty itself which is an assembly of interconnected yet diverse departments. 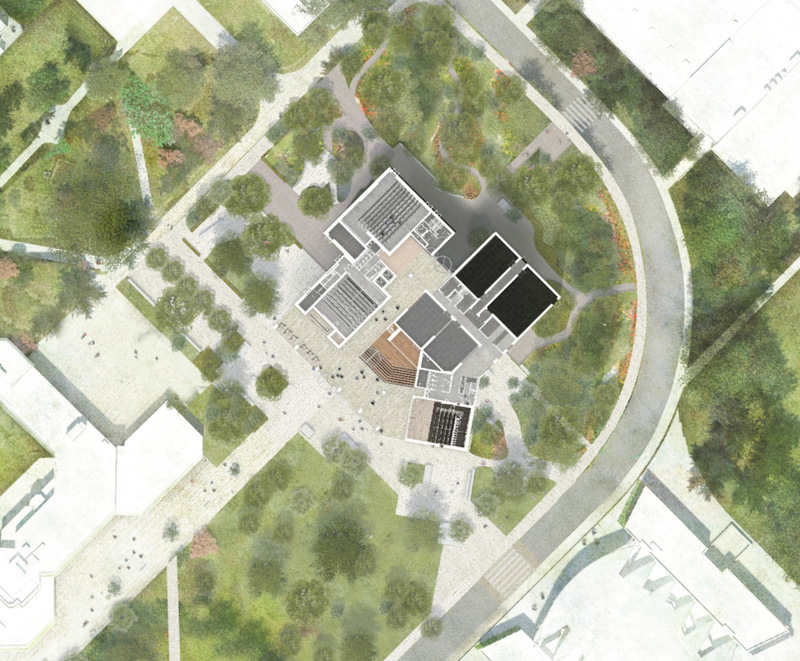 The shape of the floor plan enables each department to have its own identity but also groups them together to provide a unified whole forming the Faculty of Arts. The form of the building creates a large facade area to maximise access to daylight and natural ventilation. The sculptural form of the building is draped in a bespoke fluted glazed ceramic rain-screen.